To understand how the Beautiful and the Sublime Differ - The lesson looks at some sources about the Beautiful and the Sublime. The goal is to then figure out what significance this distinction carries. One of the longstanding questions that’s been debated in the field of aesthetics involves the nature of Beauty; one question in this area asks us where Beauty lies, in the object or in our eyes. Taking this further, if Beauty is in us rather than in the world, what kind of thing IS it? One strand of thought involves understanding Beauty as a form of Subjective Experience. Beginning with Longinus, and continuing through Burke and Kant and on into the 20th Century, some have suggested that Aesthetic Experience can be divided into two types — the experience of the Beautiful and the Sublime. One key place these two differ is in the effect on the experiencer –> generally it is thought that the Beautiful is consonant and the Sublime is dissonant, that the Beautiful reaffirms our Reason, that the Sublime, however, puts us in touch with the fact that we are in some ways at odds with nature, but that ultimately, this dissonance can be resolved through our expression of human freedom outside of the laws of nature. Below are links to a brief video on the Sublime and pictures illustrating the Beautiful and the Sublime. Albert Bierstadt, Among the Sierra Nevada Mountains, California, 1868, Smithsonian American Art Museum, Washington, DC. The text below introduces some of the writings of Longinus, Burke and Kant. Longinus promotes an “elevation of style” and an essence of “simplicity”: “the Sublime refers to a style of writing that elevates itself above the ordinary”… five sources of the Sublime: “great thoughts, strong emotions, certain figures of thought and speech, noble diction, and dignified word arrangement”. The Beautiful, according to Burke, is what is well-formed and aesthetically pleasing, whereas the Sublime is what has the power to compel and destroy us. Burke writes about the physiological effects of the Sublime, in particular the dual emotional quality of fear and attraction. Burke described the sensation attributed to the sublime as a “negative pain” which he called delight, and which is distinct from positive pleasure. Delight is taken to result from the removal of pain (by confronting the sublime object) and is more intense than positive pleasure. Kant claims there are four kinds of Judgments: the Agreeable, the Good, the Beautiful and the Sublime. Kant claims that the first is subjective, the second universal and the other two lie between as subjective universals. 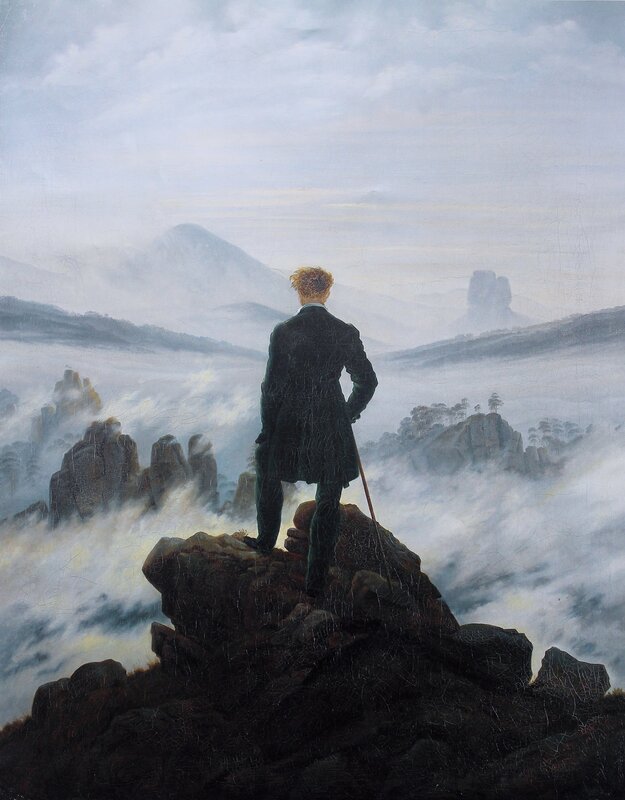 The Sublime is “nature considered in an aesthetic judgment as might that has no dominion over us”, and an object can create a fearfulness “without being afraid of it”…it causes fear but isn’t ACTUALLY threatening. Explain the Beautiful and the Sublime. What is the significance of these categories? Does Aesthetic Experience matter? Why? In looking at the six pictures, identify the aspects that lead you to think that each is either sublime or beautiful. What does each make you feel? Is it possible to be wrong about your experience of a work of art? How does Ugliness relate to these two categories?